Before becoming known as the Don Garlits Museum Jet, it raced as Sloane McCauley's Jet. This Jet is very well known within the North Texas Chapter since Sloane McCauley was very active in the early days of the chapter. The Jet was part of a Texas Triad: Kelly Hinegardner, Rudy and the Boyz, and Sloan. They raced all comers and raced for broke. Kelly brokered the donation of the Jet after Sloan passed to the Don Garlits museum of which you will see as you continue on. 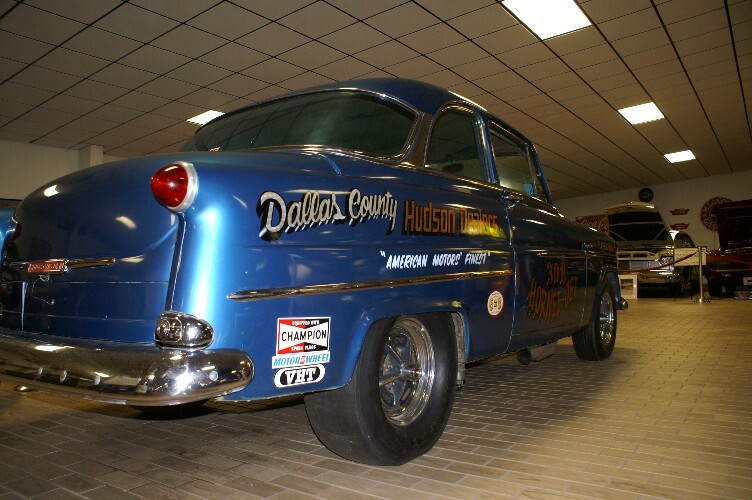 It's racing history remains as the pride of the Dallas County Hudson Dealers. An interesting bit of HET trivia that is not largely known outside of the local chapter is that the actual name of the North Texas HET chapter is “The North Texas Hudson Dealers Chapter” of the HET Club. 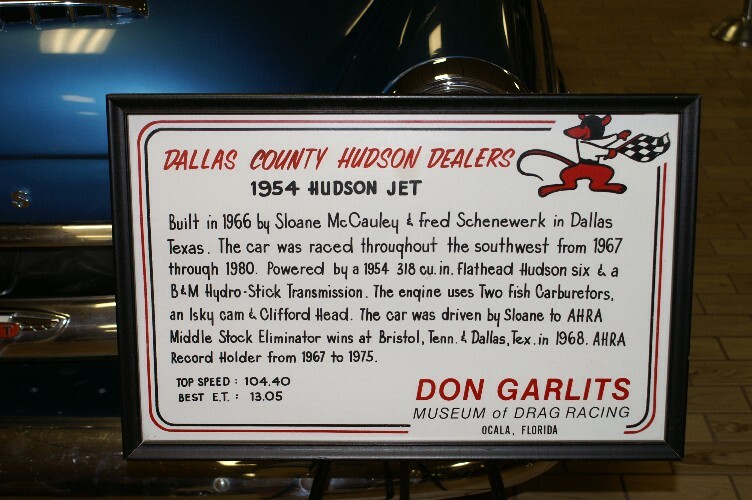 The chapter was named in honor of the group of Hudson dealers in and around the Dallas-Fort Worth area that jointly sponsored several Hudson stock car racers in the fifties. Of course this was leading up to McCauley building his Jet, but Sloane’s Jet clearly followed in the legacy of earlier Hudson racers. I am one of the newest members of the H-E-T club. I thought you might be interested in seeing a picture of my Hudson and some information about it. 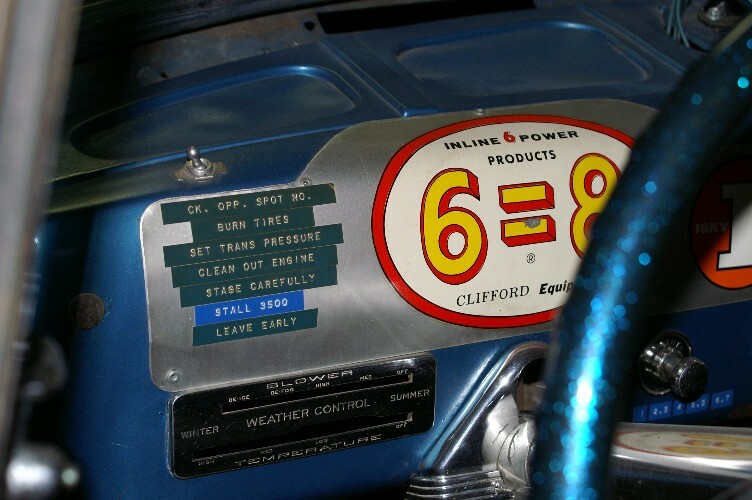 It is a ’54 Super Jet 2-door with a .060 overbore 318 cubic inch Hornet engine with the full 7X treatment. We use twin Fish carbs on the stock Twin-H power intake, a special racing hydramatic transmission, tubular exhaust headers, and much other special equipment. 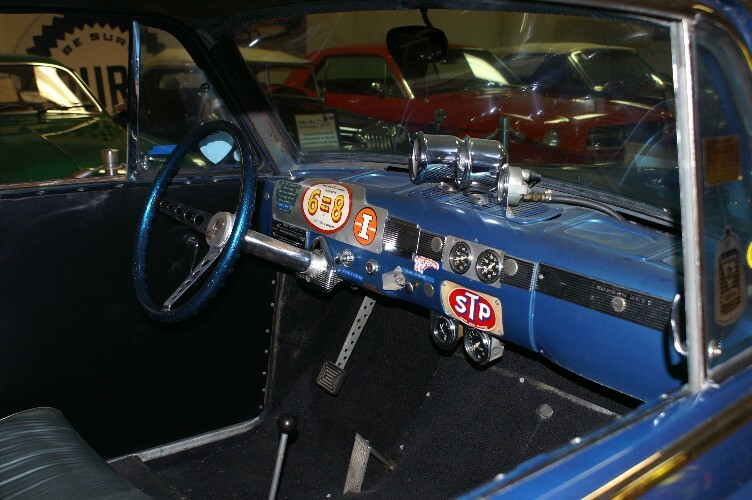 The car holds the American Hot Rod Association ¼ mile national records in Formula 9, Super Stock Automatic Extra, and Formula 10, Super Stock Automatic Extra. Best elapsed time is 14.60 second and best speed is 93.97 miles per hour for the standing start ¼ mile. Many thanks to the H-E-T speed advisor Jack Clifford who has provided much valuable technical information and parts needed to set up this car correctly. 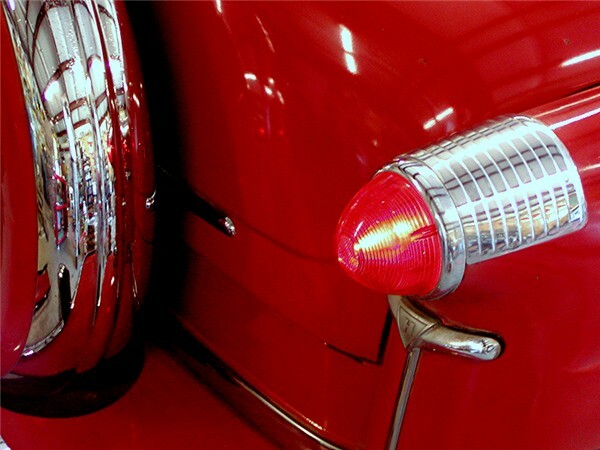 It is quite a shock to the fellows driving the 4-speed Chevies and other V-8 powered cars to be shut down by a Hudson. 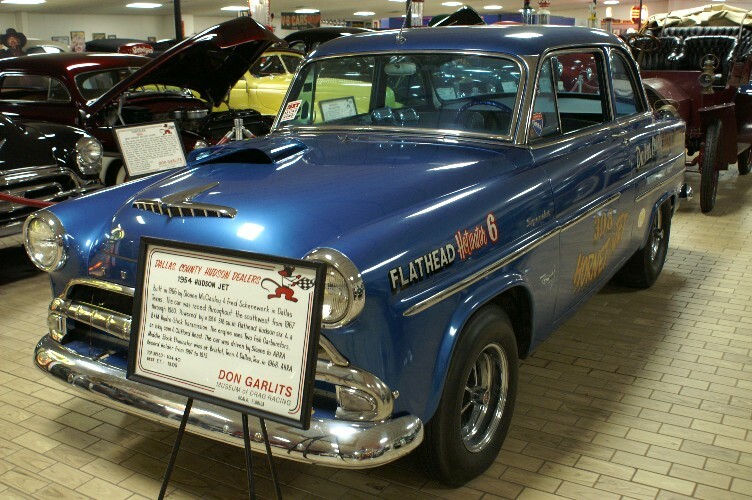 Most people don’t even know what it is, and don’t realize the performance potential of the flathead Hudson 6. With its large displacement, individual ports, large factory valve reliefs, twin carburetion, aluminum head, angled valves, and the fact that one of the best racing transmissions ever, the hydramatic, bolts up, the Hudson can become a formidable competitor. Any of you fellows who are racing Hudsons let me hear from you and maybe we can exchange some ideas or solve some problems. This is what you might call a follow-up letter to the article on my car on page 20 of the July, 1968 issue of the WTN. Since originally writing to you I have won Middle Stock Eliminator at the American Hot Rod Association’s Spring Nationals at Bristol, Tenn., July 9, 1968. I had to square off against about 18 overhead valve V-8 class winners and under the delayed handicap start running off of national records. I triumphed over all of them with my ’54 Jet. I was the oldest car in the bracket and the only one running a six cylinder engine. I received numerous cash award from the manufacturers of whose products I was using such as Valvoline, STP, Champion, Pure, etc. I also received a cash award from the strip and some valuable merchandise. At the time I last wrote to you I did not have the car put back together with its new blueprinted engine, therefore, the best times listed were from the last year’s racing. I have now set new Formula 7, Super Stock Automatic Extra records of 14.13 seconds, 95.98 miles per hour at Bristol, and since then the car has gone 13.96, 97.55 as of this writing. I am looking forward to competing in other American Hot Rod Association meets this year and will keep you posted on any new developments. The following pictures are of the Jet when located in the Don Garlits Museum of Drag Racing in Ocala, Florida. The install of a Heidt's Mustang II front suspension w/11" disc brakes and non-power rack & pinion steering was scheduled for January 2012. This also fits a 1948 Ford passenger car. A LQ9 6.0L engine - to be bored and stroked to 408 cu in ~ 550 hp, may now be in store for it. By May of 2012, the Mustang front suspension and the Ford 9" differential w/4-LINK are in, w/continuous frame through. It's noted that Sloan had removed the controls for the fresh air inlet and the current owner wishes to replace these controls in order to alow some cool air to flow through on ocassion. Slated for January 2013, the LQ9 iron block LS1 eng (bored and stroked to 408) & 4L65E trans would be delivered for install, add floors, wiring, racing seats, etc Plans also to bolt the hood and fenders together (unitize) and hinge the unit in the front so it can be raised in the rear, the unit connected with air shocks so as to automatically stop. February 2013 brings the thought that when the time comes to put the front fenders/hood/grill back on, an option to quick-detach rear of fenders from the cabin, slide the unit forward (on rollers inside the frame rails) and rotate rear of fenders/hood up into a resting position should be considered to create great access to work on the engine compartment. July 2013: Old Air Products Hurricane AC/HT/DEF installed.